← 2012 … Into the heart of darkness? QUAERITUR: Can phrase on USCCB website be used against “ad orientem” worship? This is from the USCCB website. I know that the key phrase “which is desirable whenever possible” offers some ambiguity, but it clearly sets up a basis in official Church documents which can be stretched to oppose the ad orientem style. Could I get your thoughts on this? I would like to see the implementation of ad orientem worship back in the Mass, but I am not sure how to respond to the GIRM statements. Thanks for your thoughts and God bless. Know of my prayers for you and your readers. Can that phrase, found on the USCCB website (and elsewhere) be used to prevent ad orientem worship? No. Not if you are honest. When we quote official Church documents, we must at a certain point refer to the Latin text. This is absolutely the case with GIRM 299. The USCCB website uses an incorrect translation. This isn’t just WDTPRS’s opinion. It is the clear statement of the Congregation for Divine Worship and Discipline of the Sacraments, which responded to a dubium on this very matter (Prot. No 2036/00/L). The CDWDS actually went so far as to explain the Latin grammar. I find it astonishing that, to this date, the USCCB has not corrected their texts. What makes this worse is that the document Built of Living Stones – which quotes the errant translation of 299 was issued after the CDWDS response. I fear the unhappy translator fell into the schoolboy trap of merely sticking to the Latin word order. I can’t imagine that they did this … on purpose! I have written about GIRM 299 several times. Briefly, here is the skinny. Altare maius exstruatur a pariete seiunctum, ut facile circumiri et in eo celebratio versus populum peragi possit, quod expedit ubicumque possibile sit. The main altar should be built separated from the wall, which is useful wherever it is possible, so that it can be easily walked around and a celebration toward the people can be carried out. The quod refers back to the first clause, the placement of the altar, and not to the ut clause. Before the USCCB put out their document Built of Living Stones, with the incorrect translation you cited, the Congregation for Divine Worship responded to a question about this very paragraph and actually explained the Latin grammar. Here is the meat of the CDWDS’s response about that which, I repeat, was made before the USCCB issued Built of Living Stones. Negatively, and in accordance with the following explanation. The explanation includes different elements which must be taken into account. First, the word expedit does not constitute a strict obligation but a suggestion that refers to the construction of the altar a pariete sejunctum (detached from the wall). It does not require, for example, that existing altars be pulled away from the wall. The phrase ubi possibile sit (where it is possible) refers to, for example, the topography of the place, the availability of space, the artistic value of the existing altar, the sensibility of the people participating in the celebrations in a particular church, etc. The paragraph is talking about the construction of a new altar. New construction is to ensure that, wherever it is physically possible and it is a good thing to do, the altar is separated far enough from the wall that a person can walk around it, for example, to incense it or use if for Mass versus populum. That does not mean a) that existing altars must be changed or, b) that free standing altar must be used versus populum. I believe the response of the CDWDS was in Communicationes of the Pontifical Council for Legislative Texts. You should be able to find it quickly in your seminary library. One of the consequences of this, by the way, there is no obligation to set up a table in front of a main altar that is ad orientem. As a matter of fact, it would be a bad idea to do so, because of the important of having but one altar in the sanctuary. This entry was posted in "How To..." - Practical Notes, ASK FATHER Question Box, The Drill. Bookmark the permalink. 17 Responses to QUAERITUR: Can phrase on USCCB website be used against “ad orientem” worship? Given that this isn’t exactly the MO of the USCCB, I’m not entirely surprised that yet another of their translations was artistically rendered. I think the worst part about this is that some people genuinely thought that this was the intent; to rip out high altars and use free-standing altars instead. Not everyone chooses to distort texts and who knows how many were led astray by inept translators. It is to weep. There are some who claim that Pope Paul VI’s promulgation of his new missal is mistranslated as well, and that it is not really a promulgation. Jayna mentions that ‘some people genuinely thought that this was the intent.’ I recently looked up the website of a church where one of my friends is a parishioner and found the following in a potted history of the parish. ‘1981 saw the repositioning of the Sanctuary to turn the altar to face the congregation AS REQUIRED by the 2nd Vatican Council.’ There is an added comment that they were probably the last parish to do this. So this was still going on as late as 1981. Very sad. And all these years Catholics were duped into thinking Mass “had” to be said facing the people. Very sad. This weekend I attended a very large wedding at a very large, old church. I was sitting with some non-Catholic friends who had little to no experience with anything Catholic. Before the wedding I was attempting to explain the significance of the main altar and side altars, all still intact and very beautiful, as well as the magnificent stain glass, statues, and Stations of the Cross throughout the church. One of my non-Catholic friends then innocently asked, “Then why do they have that wooden table in front of that beautiful altar?” When I explained that this was the altar from which Mass was celebrated facing the people, she replied, “Why would you have Mass on that plain table when you could have it on that beautiful altar?” I explained that the “table” in front of the altar was so that the Mass could be celebrated facing the people to which she respond, “Who cares if the priest is facing the people?” Here is a non-Catholic, completely uninformed on just about anything Catholic, much less liturgical, that “got it” and didn’t even know it. Somebody told me that Cardinal McIntyre in Los Angeles held that the placement of a second altar in the sanctuary was absurd, and hence forbade the placement of altars in front of the high altar. I have lots of hope with the incoming “new” Archbishop-elect Sartain (into Seattle) that there will be a more generous attitude toward the 1962 Mass. I know of several priests that have wanted to learn the old Mass but were afraid they’d be exiled somewhere. I, also, know of some interest in celebrating OF Mass ad orientum. Perhaps now the fear will disapate. Ad Orientem Worship, for me, was the biggest loss since the Council. It is the one thing that if mandated and enforced would lead to many other things turning around besides the Altars. It completely removes any possibility of the personality of the Priest showing through during Mass which should be all about God. Versus Populum is so distracting that every movement and every facial expression of the Priest is often monitored by people. In fact you can often tell when Father has had a lousy week out of the month. Facial expressions reveal countless emotions. Even a temporary boredom. What just seems so scandalous is that the Church and Pope openly mourn the loss of Ad Orientem and yet the GIRM remains the same. And probably quite true that many people destroyed Altars by mistake or misinterpretation while others did so deliberately based on the ambiguity of the statement, and yet it remains unchanged. The dubium clears it up or at least makes it clearer but many, many people do not read the GIRM and then look for dubiums just in case they what they think they may be reading could be wrong or a misinterpretation on their own part. Allowing it to stand just as it is and the possibility of more destruction seems just as ambiguous as the original statement. I would venture to guess that the majority of people think that Vat II did indeed turn around the Altars. And some may know of the GIRM and its’ statement, but I am willing to bet very few know of the dubium or even what one is. When the unprecedented destruction was taking place in almost every parish around the world and Rome knew that this was due in part to GIRM 299 they should have immediately set out to correct the passage to better reflect their opinion or laws on the matter. To continue to lament about it now and not change it screams of a complete loss of control. It is just a sentence that can be changed with the stroke of a pen. USCCB, get with the program. The bureau-cratchiks are “legion”, I’m afraid. It’s not the “mind of the Church”, it’s not “the mind of the Pope” to forbid “versus Deum” worship. We’re outta the ’60s and PRAISE GOD for that!! What is the purpose of the alter being built apart from the wall in the first place? I agree that the most deleterious “reform” (if you want to dignify what happened as a reform) was the celebration of the Mass ad populum. It encouraged “Father Entertainer” types to “bless” us with their “creativity” and “personality.” It also fostered the destruction of absolutely sublime sanctuaries. 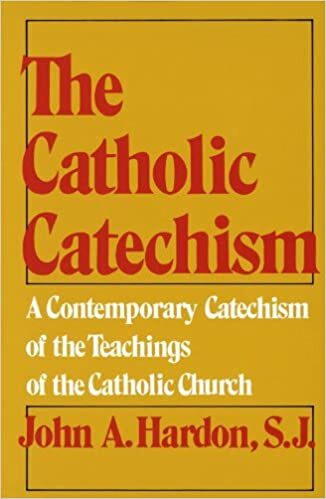 Too bad, that the Cardinal McIntyre types didn’t have the internet available to them in those days to spread the word that liars and legions of liars were misleading the Catholic faithful about the nature of the “reforms.” We might have nipped this lunacy in the bud. I think the above Mitchel NY is right on the money. GIRM needs to be revised, both the translation and the IGRM original to make the matter clear. It wouldn’t take much to revise it, and we saw in the Good Friday prayers of the EF that Pope Benedict can compose elegant Latin revisions when he wants to. On the other hand, I am reminded of a story of a parish down in south Texas. In the 70’s, as with many parishes the high altar and altar rail were torn out. They were given to a parishioner with a trailor to drag them to the dump. He couldn’t bring himself to do it, so he found some space in his barn and stored them there, under a tarp. Fast forward to the mid-90’s when a priest from Africa is assigned to the parish. He askes the people if they would be willing to help him raise money to buy materials to re-order the sanctuary to make it more reverent. An old farmer replies, there is no need to raise money, I have the original stuff in my barn. The point being that Ad Orientem worship is still in the barn, we just need some leadership to pull it out of the barn and put it back in the Church. Historically, in the west, the main altar in a church WAS away from the wall so it could be censed all the way around, even though the celebrant and other ministers faced the liturgical east. Side altars, where only a low mass was offered, did not have to be arranged where they could be censed all around. Putting even the main altar against the east wall is historically the innovation, though it might have several centuries of use. In the two parishes where I have seen the restoration of the TLM, both suburban parishes built in the 1960s and 70s, the problem has been that GIRM 299 has been ignored in the other direction. Despite the clear Latin and English direction that altars are to be built so that it can be easily walked around, in both cases the main altars were set up so that it is physically impossible to celebrate Holy Mass ad orientem. The side facing the congregation goes right up to the top of the steps, with at most a 6-inch praedella. This leaves no choice but to set up a second altar in the sanctuary for the TLM. Needless to say, there is considerable angst whenever we mention that perhaps, maybe, the main altars could go back a couple of feet (and there is room) to support the TLM without having to spend 30 minutes moving furniture before Holy Mass. What’s good for the goose ought to be good for the gander as well. Ambiguity – including grammatical ambiguity – that opens the doors to progressive reforms – not to say abuses – seems to be the hallmark of Vatican II and the reforms that issue from it. Brian2, what a wonderful story. It’s kind of like reformation England. When Edward VI died and Mary came to the thrown, the altars, vestments, liturgical books, which were hidden away by the Faithful were returned. I hope the young priest accepted the farmer’s offer. In defense of the old ICEL translators, I too have found this phrase a bit confusing. I think at least part of the confusion is due to the word order, as Fr Z speculates. At any rate, if you incorrectly assume a conjunction “quod” with an impersonal “expedit”, then the translation could indeed be what the old ICEL says it was. Thank God we have the Latinists at the CDW to clear this up for us C-students. I suppose someone could say that “quod” correlates to “peragi” since infinitives can be treated as neuter nouns, but that strikes me as obtuse for some reason. Perhaps there is an A-student who can clear this up for us? TJerome: yes, he took up the offer, more or less. Given the conditions in the diocese at the time — early/mid 90’s, they couldn’t put the sanctuary back exactly the way it was (i.e. with the altar right up against the reredos) but they did manage to put the reredos w/ tabernacle up against the wall, and then use the old altar as the front-piece for the new freestanding altar.